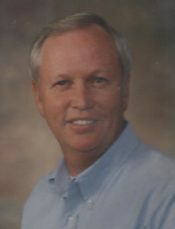 Roger Dale Ellis, 72, of Molino, FL passed away March 24, 2019. He was born in Jay, FL October 24, 1946 and has lived in the area for 72 years. Roger retired a Master Sergeant after 20 years of service in the USAF and served during the Viet Nam, Desert Storm and Gulf Wars. He worked for Esc. Co. B.C.C. for 15 years and worked in the prison ministry at the Escambia County Jail. He was a member of the Church of Christ where he served as a deacon and also as an elder. Roger is preceded in death by his parents, Grady Lee and Eula Mae Sewell Ellis and sister, Joyce Ellis Bradley. Roger is survived by his wife of 47 years, Kathleen Ellis; daughter, Melanie Brown (Gerry); son, Jason Ellis; grandsons, Logan Finch (Gaby), Gavin Finch, Landon Brown; granddaughters, Madison Finch, Ariah Ellis, Carlee Brown; great grandson, Damian Finch; sisters, Dicie Vincent (Jerry), Betty Gainey; brothers, David Ellis (Joyce), Jerry Ellis (Nancy) and 21 nieces and nephews. The family will receive friends for visitation from 5-7pm Thursday, March 28th at Scenic Hills Church of Christ. Funeral service will take place at 10:00am Friday, March 29th at Scenic Hills Church of Christ with interment to follow at Pensacola Memorial Gardens. In lieu of flowers, donations may be made in Roger’s memory to Childhaven in Cullman, AL, Potter Children’s Home in Bowling Green, KY or Mt. Dora Christian Children’s Home in Mt. Dora, FL. Thank you for all the lessons and mentorship Roger, you were gentle yet firm, trying to keep all us boys online during bible class and other church events. You were a good Example for us and always encouraged me especially about service to the Lord and to our country. Prayers for the family! May he rest in peace! There will never be another Man on this earth, like our friend, Roger Ellis. We loved him dearly. Never saw Roger without a smile on his face. He enjoyed his life, and his service to our Lord was steadfast. He led by example. We didn’t have to see him often, but always knew he would be there if he was needed. Such a wonderful memory, he left for us. He had his loving wife, Kathy to complete him. Go get that well deserved crown. I would like to express my heartfelt sympathy to the family for the loss of your dear husband and father, Roger. I hope that you will find comfort in the words of Jesus at John 5:28,29 where he promised that the day is coming when he is going to resurrect back to life those in the grave. And they will be brought back to a beautiful paradise earth with no more sickness. (Psalm 37:11,29) (Isaiah 33:24) Until then, it is just like your dear Roger is sleeping. (John 11:11-13) May your family draw strength from Jehovah, the God of all Comfort. I graduated with Roger snd he was always so kind and a good friend. We rode the bus Rome from school and we lived near by. We graduated in 1965! RIP prayers for all his family! What a God fearing man, and boy did he love his family especially those grands!! Loved him so much he was always able to make a frown turn upside down! He did not let people around him sad! Always had a smile no matter what was happening he always knew God had a plan in everything!! Ms. Kathy I love you so much and I’m going to continue in prayer for you and your family!! Kathy, I’m so sorry for your loss. We all know where Roger’s soul is now and know that you two will meet again one day. My prayers are with you and your family. Good Christian man, great example to us all. He always had a smile for you. He was loved by all who knew him , he will truly be missed. My prayers to all his family. Kathy, Roger will be so missed by Eddie and me. Roger influenced our lives in many ways. We have so many fun memories of all the good times we have had over the last forty years. Our hearts are heavy, but I know Roger has finished the race and won the victory. It is our loss but his gain. We love you and were just a phone call away. SUCH A GOD LOVING MAN, FAMILY MAN AND EXAMPLE TO ALL. A WONDERFUL SMILE FOR EVERYONE. WOULD DO ANYTHING FOR ANYONE IF HE COULD. HE WILL TRULY BE MISSED BY ALL, ESPECIALLY HIS FAMILY. GO WITH GOD, BROTHER. LOVE AND MISS YOU!! We are so sorry for your loss. Prayers to the family. My sincere condolences to you and your family. The service for you beloved Roger Dale was very befitting. There was so many beautiful and wonderful things said about him and how he lived his life. The canvas of his life was drawn in the beautiful comments that was made by his family and friends. My prayers and love will be with you always.